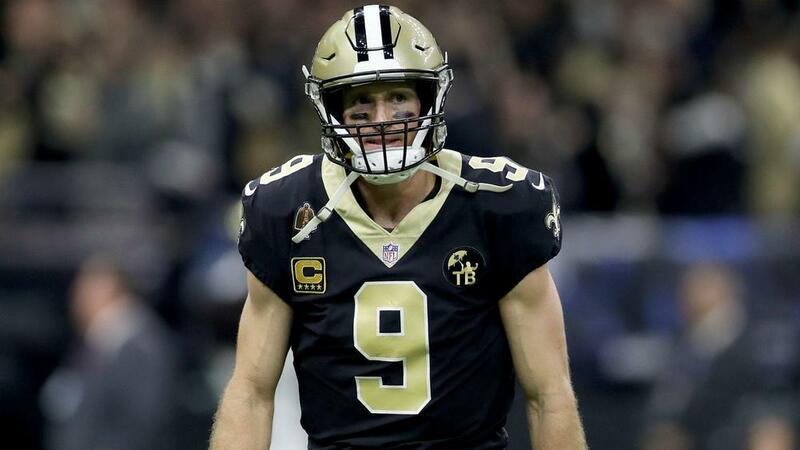 Drew Brees' season may be over but the veteran New Orleans Saints quarterback is not ready to throw in the towel on his 18-year career. Brees, 40, has every intention of returning for another season after the Saints' postseason run ended with a 26-23 overtime loss to the Los Angeles Rams in the NFC championship game. "I plan on being here next year and making another run at it," Brees said, via The Times-Picayune. The 12-time Pro Bowl player added he felt "pretty positive" he will return as New Orleans' quarterback, but will first let Sunday's outcome set in. "This is all pretty fresh," Brees said, via ESPN. "But [I'm] just going to take a few days to kind of let it all settle in, talk with my team-mates and my coaches." He was 26-of-40 passing for 249 yards, two touchdowns and one interception in the Saints' losing efforts. Brees has one year remaining on the two-year deal he signed in the offseason. He is coming off the best season of his career with a passer rating of 115.7 all the while breaking Peyton Manning's NFL record for career passing yards.